Does the human body contain minerals? Where exactly are they and what do they do for the human body? Which minerals do people use most often? 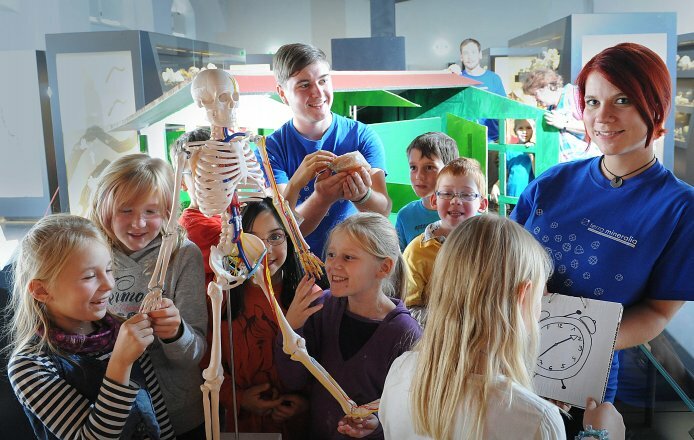 Many exciting discoveries and hands-on activities await curious visitors, big and small alike. On their tour of terra mineralia, children will find out what minerals their bodies contain. 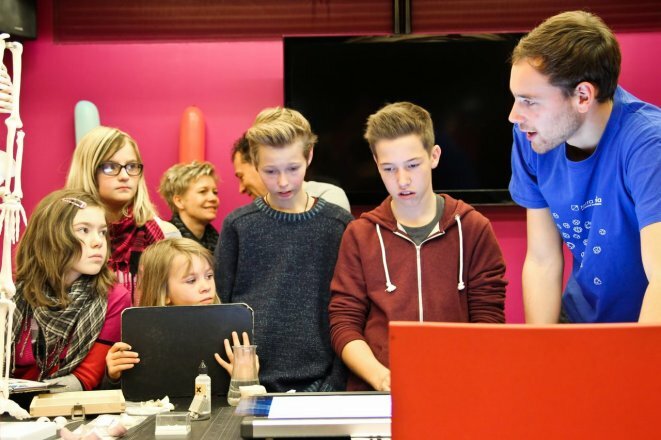 At the “research expedition” - the science centre - students of the TU Bergakademie Freiberg will explain, what minerals do in the bodies of the girls and boys. They stabilise bones and teeth, are necessary for keeping the balance, help you to see. Some make you ill, some can be tasted on the skin when you sweat, and some give the blood its red colour. 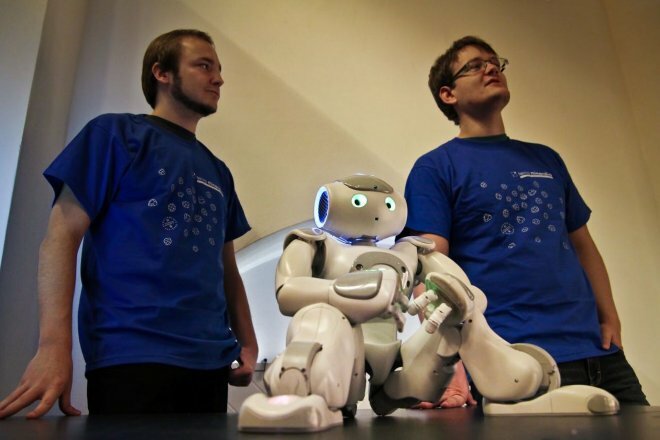 Interesting experiments help convey the topic in an exciting way. In a walk-in dolls’ house, the big and small explorers learn which minerals are used in daily life. Behind the doors, all the items that would be unthinkable without minerals are pointed out. Silver is essential for our mirrors, as well as quartz for window glass and gypsum for mortar. 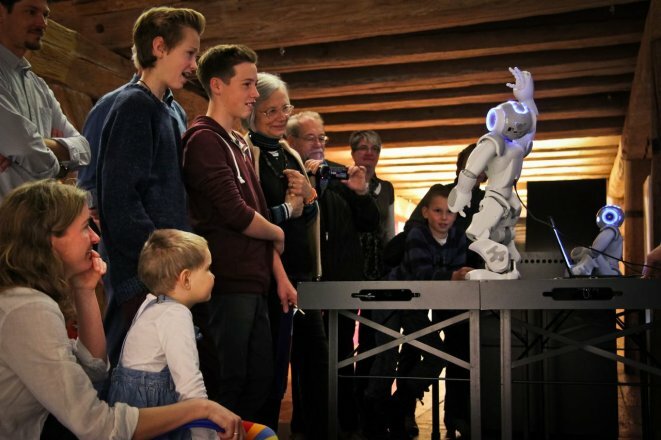 Every Thursday from 10 – 12 am, as a special highlight during these holidays, the popular robots “Geri and Indi”, from the Institute of Computer Sciences of the TU Bergakademie Freiberg, come to visit. They tell the visitors which minerals made them come to life. This year, terra mineralia’s summer holiday programme - from 21st July to 2nd September 2012 - is dedicated to the special exhibition "The silver of Freiberg: Sweat and greed, power and adornment”. It will all be very mysterious at the exhibition at Freudenstein Castle in Freiberg. The "expedition", the scientific centre of terra mineralia, will be turned into the "silver-laboratory of the alchemist." Opening times during the holiday season are from Thursdays to Sundays from 10 am to 5 pm. It is seething and sizzling in the laboratory of the old alchemist because he wants to create silver. During the holiday programme at terra mineralia, magic spells, tests and exciting experiments are needed to reveal the secret of producing silver. 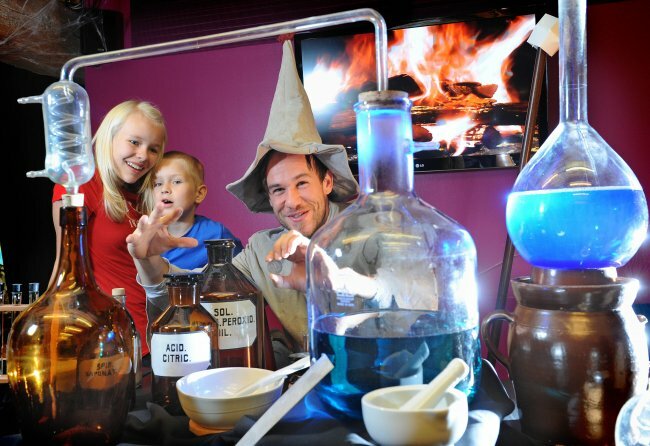 Girls and boys from eight years of age can help the alchemist. In this way children learn which properties silver has and whether it is possible to make it at all. Up to the 18th century, alchemists attempted to produce gold and silver artificially. The team at terra mineralia took up this approach and developed a summer holiday programme in which silver is the focus. A children’s tour guide booklet has been specially developed for visiting this wonderful exhibition with children. It is available free of charge from the ticket office. “In this guide, the exciting history of Freiburg’s silver is told in a way that children will understand. 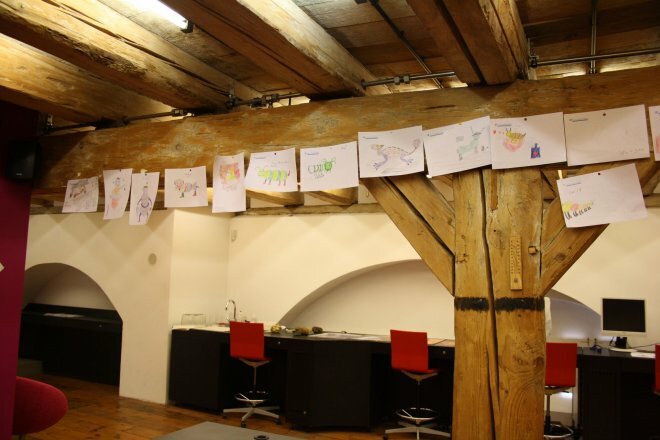 The booklet also helps girls and boys to find small details and hiding places in the exhibition or to accomplish tasks and answer questions”, explains Christina Seifert from terra mineralia, who is responsible for designing the children’s programme. 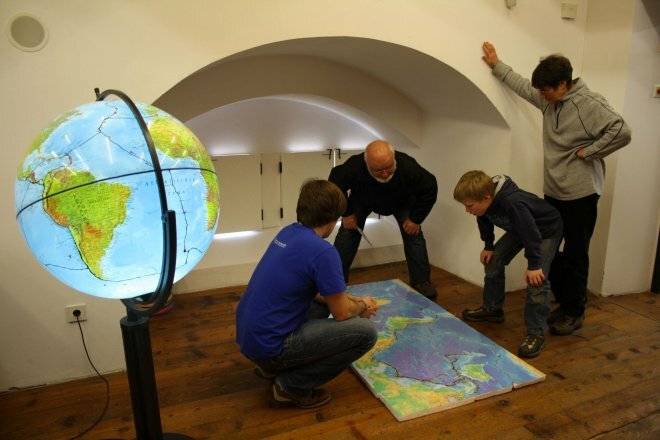 During the Easter holidays, from 6th to 15th of April 2012, young visitors and families can go to terra mineralia in Castle Freudenstein in search of the stone louse. This time the Easter holiday programme has the motto "the stone louse has broken loose!" Thereby it refers to the stone louse specifically described by Loriot - also called Petrophaga lorioti. It has gone astray at the mineral exhibition, nibbles on the minerals and leaves traces. "It is to be spotted by the girls and boys during the tour of terra mineralia", says Christina Seifert, who is responsible for events. "Imagination is required because the minerals infested by the stone louse have obtained wonderful shapes. Therefore calcite looks like a fir tree, corundum resembles a melon, there is a fantastic amethyst city and even a Easter bunny can be spotted." The looking for and finding of the mineral steps is facilitated by a worksheet. However, this time the individual initiative of the children is required. 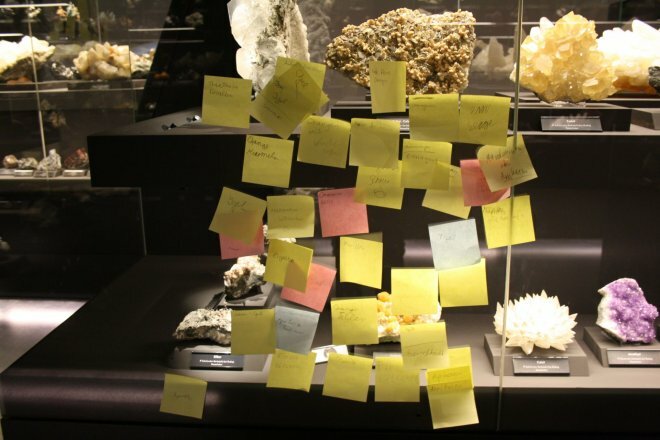 For example, if someone catches the stone louse nibbling in the Europa Hall and knows the right name of the crystal shape, they simply write it down on a post-it note and stick it to the showcase. Then the next visitor already knows. 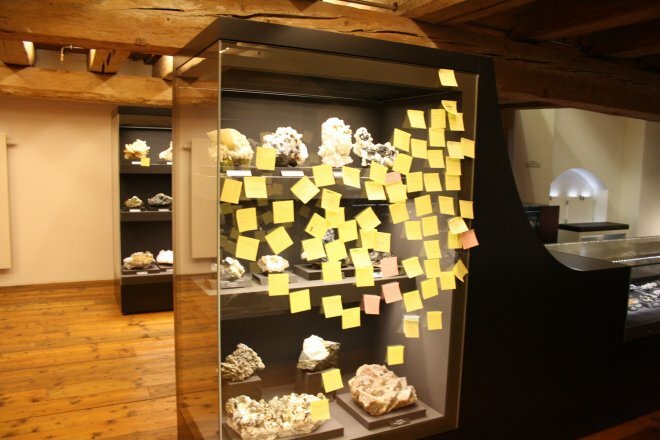 "With this new hands-on method, the terra mineralia museum education wants to try out something new and benefit from the ideas of the visitors," explains Christina Seifert. Next to the fun of discovery, one will also scientifically get to the bottom of Loriot's stone louse phenomenon at the Foundation Collection of the TU Bergakademie Freiberg. Does the stone louse actually occur in nature? Are there any animals which feed on minerals or rocks? What "nibbles" on minerals from a geological and physical point of view? Why and how do crystals grow into strange shapes? These and other questions will be answered during a flying visit at the expedition - the science centre. Students of the TU Bergakademie Freiberg will, among others, explain to the young visitors what is hidden behind Loriot's stone louse. 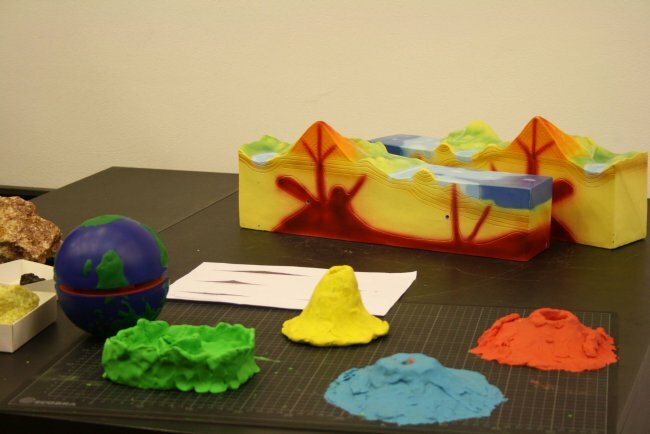 Illustrative experiments will clarify different causes of mineral deformation and formation and can be tried out by the children under supervision. Those who would also like to try out being a "stone louse" and "nibble" on the minerals, have the possibility in the courtyard. Mineral expert Uwe Thonfeld from Toni's House of Stones in Geyer gives instructions, how crude agates and amethysts are cut. Alternatively, visitors can also try sculpting on soapstone. Here material costs in the amount of 1 to 4 Euros are included. By the way: The visit of the Loriot stone louse is held by courtesy of the von Bülow family. The holiday programme of terra mineralia, the foundation collection of the TU Bergakademie Freiberg, will focus on the hottest places on earth this winter: volcanoes. 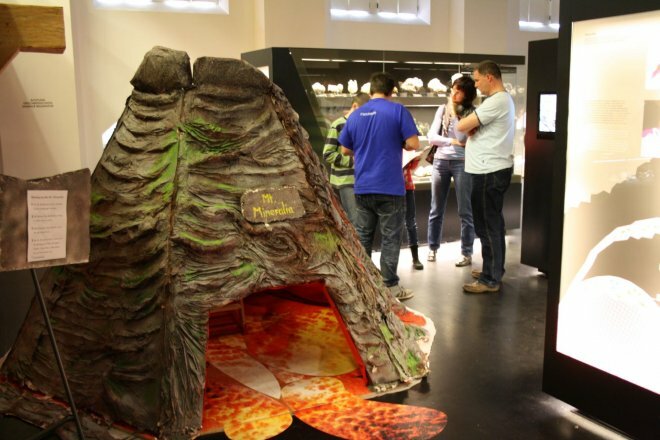 From 11th of February to 26th of February 2012, children between the ages of eight and 12 years old are invited to become volcanologists at the exhibition. In this special programme, in a playful manner boys and girls learn amongst other things, how a volcano is formed, which minerals can be found there and what it looks like inside a mountain of fire. 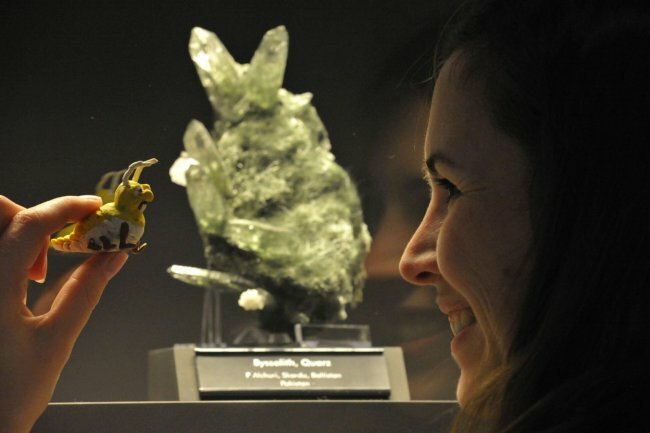 “Like real researchers, children may explore the different volcanic deposits in the exhibition and gather data about the minerals," explains Christina Seifert from terra mineralia. During the expedition of the science centre foundation collection, the young scientists will learn more about the volcanoes and the minerals found. 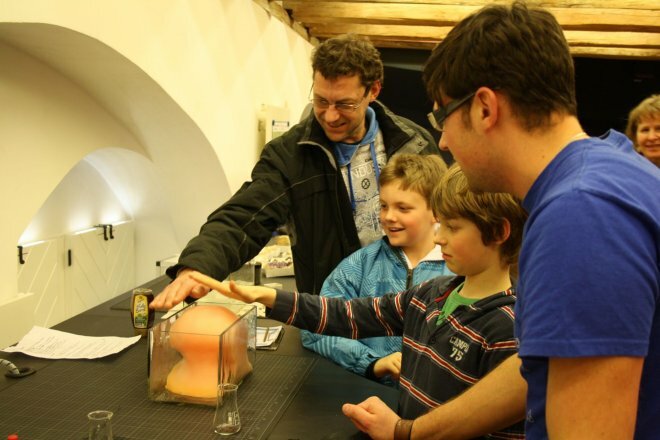 Students at the TU Bergakademie Freiberg will also use models and experiments to show how a volcanic eruption takes places and exactly what happens when this occurs. The young volcanologists can touch and study the rocks and minerals that are created by an eruption under a microscope”, says Seifert. “The boys and girls may also make a model, which they can then take home.” At the end of the programme the children can explore a really big volcano and even get inside it.